You might think that writing some killer content is the first step to successful email marketing. But if so, you’ve jumped the gun. Before you can begin thinking about WHAT you’re going to send, or even WHO you’re going to send it to, you have to think about HOW you’re going to send your emails in the first place. How many people are opening your emails. How many people are clicking the links included within your emails. Which emails (and thus what content, offers, products, etc.) are performing better than others. This sort of data is the true benefit of email marketing – it allows you to see what emails are connecting with your audience and refine your efforts to market more effectively as you go (we’ll cover that concept a bit more later on). If you send marketing emails from your personal account, you might reach your audience, but you’ll lose out on this treasure trove of data. So instead, you’ll want to take advantage of one of the many email marketing systems available via the internet. 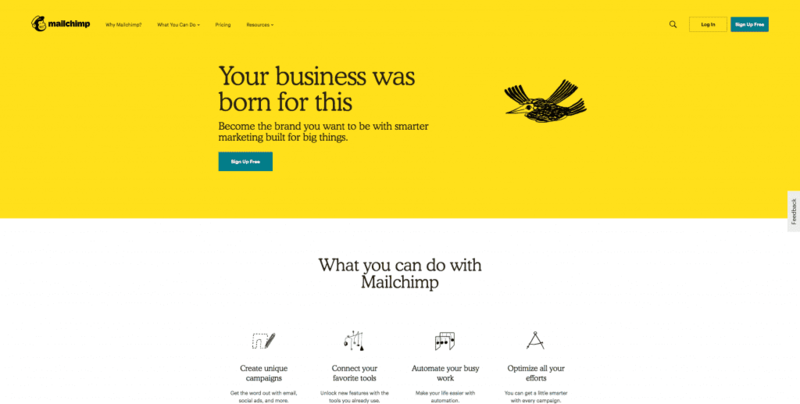 To start out, we recommend you send your marketing emails using MailChimp. We use MailChimp for both ourselves and a number of the clients we work with, most notably because MailChimp has a Free-to-Use version. The ability to build a subscriber list of up to 2,000 emails (with more space available on paid plans). Great tutorials and guides like the one found here. Easy-to-use templates and functionality that will let you build great looking emails in no time. From within these systems, you can easily (within fifteen minutes to a couple hours) create email templates, individual emails, autoresponders, and automated campaigns – all those fancy things that you might’ve thought required a whole lot of effort to set up. 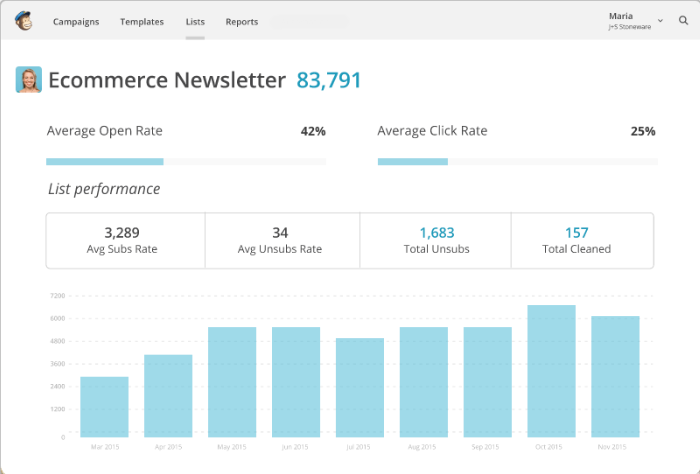 You can also track email analytics and, MOST IMPORTANTLY, begin creating your email marketing list.